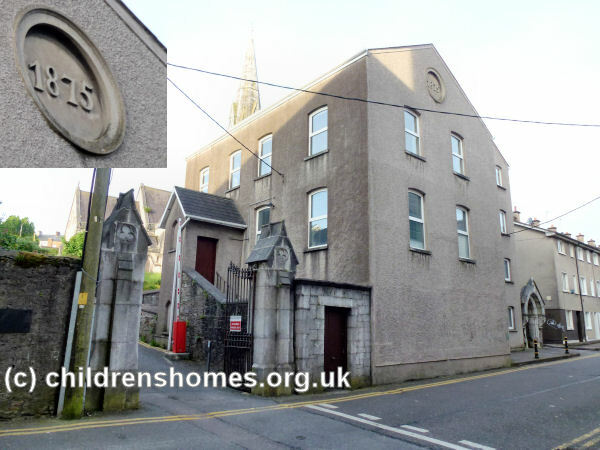 The St Nicholas Industrial School for Protestant Boys was opened in Cork in 1870. 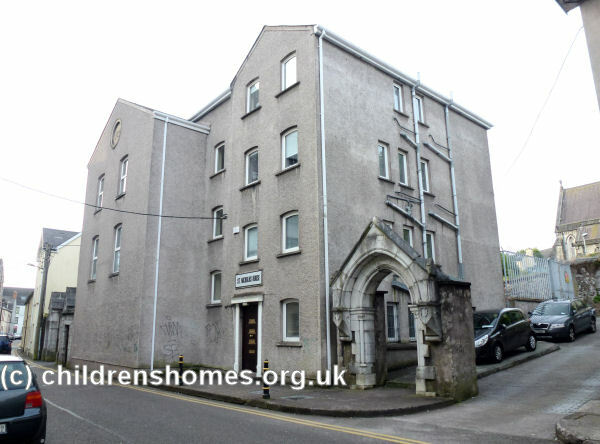 Founded by the Rev Dr George Webster, the School occupied what had previously been three houses adjoining St Nicholas' Protestant Church and National School in Cove Street, Cork. The premises were formally certified to begin operation on 20 August 1870. The inmates wore no distinctive uniform so as no to be conspicuous when attending the National School alongside local children. The staff in 1873 comprised the Lady Superintendent, Miss Langley, together with two school teachers and five servants. The boys' industrial training included shoe-making, tailoring and sometimes carpentry. Miss Langley cut out all the clothes and taught the boys how to make them with two sewing machines being provided. All the clothes worn by the boys were manufactured by themselves, and they also made clothes for Moses Deane's Endowed School. A shoemaker instructed the boys who worked in the shoemaking department, which was equipped with a machine for sewing the uppers with wax-end. Further additions to the buildings in 1874 included additional dormitory accommodation, a new school-room and workshops. The School was now capable of housing up to 98 boys. In 1876, an oven was installed, enabling the boys to bake bread for the establishment and some outside charitable institutions. The School adopted a system of marks and rewards for good conduct and industry. A band of bell-ringers were established among the boys. A good business was developed in chopping firewood, which, although not a trade, was lucrative, and taught habits of industry. In 1879, during a major outbreak of scarlatina in Cork, 28 boys were attacked by the disease, and one boy succumbed to the malady; another boy died of water on the brain; and a third was carried off by convulsions. During the outbreak, the boys were given meat everyday, in the hope that a generous diet might protect them from infection. The School site is shown on the 1900 map below. St Nicholas Industrial School site, Cork, c.1900. Dr Webster, who had energetically and financially supported the School since its founding in 1870, died on 17 December 1890. On 10 February 1891, the Rev Mr Nicholson was appointed to succeed him as the School's manager. However, with the death of the founder and the surfeit of places provided by by the School and Cork's other Protestant Boys' establishment at Blackrock, it was decided to amalgamate the two institutions. The St Nicholas School formally closed on August 22 1892 and its inmates transferred to the Blackrock site. The precise location of the Industrial School is unclear. A building now known as St Nicholas House still stands on Cove Street.